Technology has advanced so much in even just the last decade that really, saying anything is possible, is not an insane statement. From technology that keeps people across the world connected, to cars that drive themselves and even devices that can monitor and improve our health – the possibilities are endless. When it comes to improving our vitality tech has really come a long way in helping. Today we can hop online to check symptoms, research and reach doctors with specific skills and knowledge across the globe, and even use wearable trackers and devices to monitor our personal health. With all of these tools and technologies at our disposal, it’s easy to wonder if doctor visits – at least those routine in nature – won’t go away or become something much less frequent. If we’re given the tools to check-up on and monitor our vitals and health ourselves, and if we can keep in close communication with a caregiver via other communications versus in-person appointments, it seems that these visits may well be coming off our to-do lists. 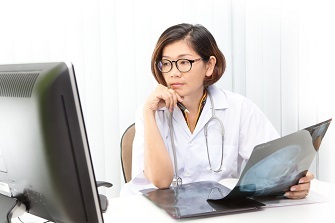 A recent Harris Poll survey commissioned by eClinicalWorks actually found that patients do want to have a stronger digital connection with their doctors and are open to using telehealth visits (where a doctor offers consultation via a video or conference session). Sixty-four percent of adults said they would at least sometimes go the telehealth route for things like follow-up visits, eye infections, skin checks, etc. Twenty-seven percent of respondents said they would always or often make this the option of choice. Another promising element of being able to take control of one’s health is the use of fitness trackers and wearable devices to monitor and improve one’s physical condition. Over one third of people said they use a device every day and 78 percent said they use one more than once a month and would like for their doctors to access the information for their use. eClinicalWork is a provider of ambulatory healthcare IT solutions and released the survey findings about patient opinions on using telehealth solutions as well as results from another study that looked at what providers had to say about the topic. The focus here was more on offering access to patient’s data and health records and its benefits. Seventy-five percent said this would be beneficial and 67 percent even said they have already noticed a change in the conversation with patients since many new technologies have become available like access portals, health apps and wearable devices. When it came to telehealth visits, 61 percent said they would recommend it at least sometimes to patients. Where more benefit seemed to be offered was with patient portals. With this tech, physicians can do things like communicate with patients, send out automatic alerts and reminders about appointments, and more. “The survey results validate what we have strongly believed, that people are invested in and want to be engaged with their health and wellness as long as they trust the source of the information,” said Girish Navani, CEO and co-founder of eClinicalWorks. Ok, so maybe we’re not quite ready to replace those long waits in the doctor’s office, but the results show promise as consumers become more engaged with their own health and work together with physicians. Wearable Tech Expo will dive more into this topic in July at the Jacob Javits Center with a session discussing the future of telehealth wearables and how compliance and innovation play an important role in how these devices will be deployed.